After starting off the six game home stand with a sweep of the Cincinnati Reds things went south for the Mets as they were on the other side of a sweep by the Chicago Cubs. On Tuesday June 30th the Mets sent out the lefty Jon Niese to the mound, and had an excellent performance as he allowed just one run through seven innings; but the Mets offense only banged out just three hits and Niese ended up on the losing side of a great performance losing (1-0). The Mets then sent out Bartolo Colon for the second game of the three game series. Colon was lights out as he continues to dominate and go out to give the Mets the best chance to win the game, as he went seven shutout innings giving up just (3 hits, 1 walk; and 8 strikeouts.) For the second straight night the Mets bats were quiet. The Mets went twenty consecutive innings without scoring a run. Nine innings wasn’t enough for both the Mets and the Cubs as they needed to play extra innings. The Mets had a chance to win it in the bottom of the eighth inning as the Mets had runners on second and third with Darrell Ceciliani at the plate, and Terry Collins decided to put a suicide squeeze on; but Ceciliani missed the ball. This led to a rundown with Ruben Tejada between third base and home plate. Mets third baseman Daniel Murphy was on second base and was going to take third base knowing that Tejada was going to be out, but both Ruben and Murphy were both standing on third base at the same time; the original ruling on the field was that both Ruben Tejada and Daniel Murphy were both out. The umpires came together and came to a conclusion which was just Ruben Tejada was out. The umpires said that “it was only one out because Tejada was giving himself up”. At this point the Mets had a runner on third base with two outs, and Ceciliani was out to end the inning. In the eleventh inning, the Mets failed to execute a routine double play ball, which came back to haunt them later on in the inning as Cubs shortstop Starlin Castro beat out an infield R.B.I. single which gave the Cubs a (1-0) lead. The Cubs tacked on another run in the inning, which led to the Mets losing the second game of the three game series by a final score of (2-0). The Mets were hoping that one of their top pitchers on the staff Jacob deGrom can stop the bleeding, as he took the mound on Thursday July second for the final game of the three game series. deGrom simply just didn’t have it as he only gave the Mets (5.1) innings of work, and allowed (4 runs on seven hits, one of the runs was a homerun) deGrom helped himself out at the plate as he hit a double to the wall, and scored a run to finally end the scoreless streak, but just wasn’t enough as the Mets fell short to the Cubs by a final score of (6-1). This was a bad time for the Mets to start going cold a the Mets will have a tough schedule coming up as they will now head west for a series with the Los Angeles Dodgers. The Mets will send Noah Syndergaard to the mound, as he will be opposed by Cy-young award winner and National League M.V.P. Clayton Kershaw on Friday July 3rd. The “Dark Knight” will take the mound on Independence day as he will share the bunker in Los Angeles with Zack Greinke. 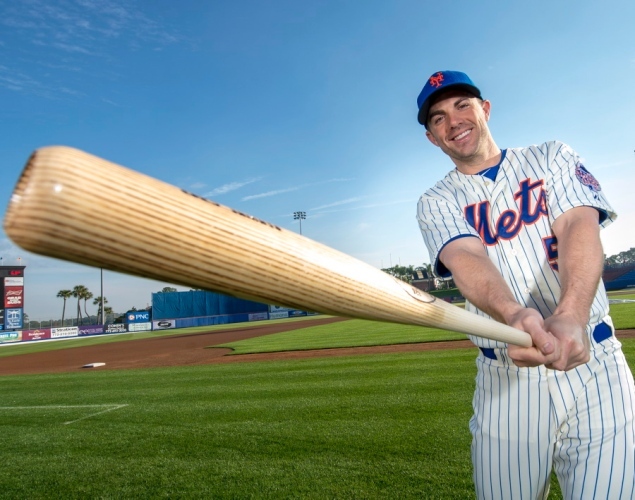 On Sunday July 5th, the Long Island native Steven Matz as he will make his second Major League start as he will go up against Mike Bolsinger. The west coast trip doesn’t get any easier as the Mets will then have to play the San Francisco Giants, and will then head back home for a three game series against the Arizona Diamondbacks and will then lead to the All-Star break. Once the All-Star break is over they will have another rough ten games as they will have to face the St. Louis Cardinals, Bryce Harper and the Washington Nationals; and will face Clayton Kershaw and the Dodgers for another series. Mets top prospect Michael Conforto has been tearing in the minor leagues as he has a career minor league batting average of (.311, with 13 home runs), if the Mets current roster doesn’t continue to hit, the door could possibly open up for Conforto and the Mets could hopefully get what they expect from him and could start putting runs up on the board.